Squatting is for you too!! Squats. One of the best exercises you can do but, few perform them…..well. It is one of the most functional activities and is one of the best predictors of performance. 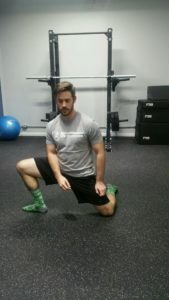 With the popularity of cross-fit and social media it is impossible to scroll down without seeing some sort of variation of a squat or someone telling you how to squat. It has received a bad rep throughout the years as being bad for your knees or causing injury which is simply not true. While it is true that injury can occur from improper loading or performance. Squatting when done correctly is very safe. 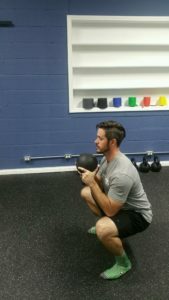 In this blog we will examine the squat and ways to insure progression and safety. So, what is a squat? Well honestly it depends on who you ask, but for our purposes a squat is a “deep movement of both knees and hips” 1. As the body lowers, the hip and knees bend while the chest stays upright till you get to the bottom. Once you pause at the bottom the ascent begins causing the hips to go forward and the knees to straighten. Depending on your sport or who you ask depth is different as well. For most people squatting to thighs parallel is enough, but sports such as powerlifting and Olympic lifting require you to get a little lower. Your depth should depend on your goals and your ability to move. Anything parallel or below will qualify as a full squat with most coaches and competitions. 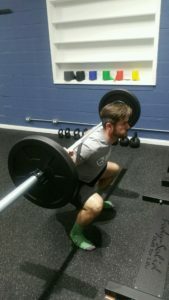 So, how do I improve my squat? The answer varies based on your individual needs which may be different than someone else’s. 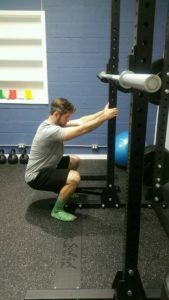 However, here are three strategies that will help nearly everyone improve their ability to squat. First key is to warm up. Sounds simple right? You would be surprised how many people skip this part and I used to be one of them. Just doing a couple sets of 10 with lighter weight on the bar isn’t the best, and more can be done. When completing your warm up ask why you are doing it and plan accordingly. It should get the body warm and ready to move while being specific to the activity you are about to complete. 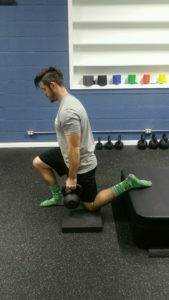 There are many research articles out there listing the benefits of a dynamic warm up, but it continues to be a missing piece in a lot of training programs. 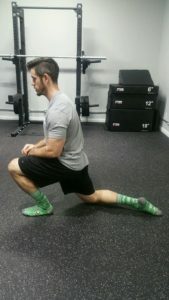 While, there are many different warm ups out there, listed are three I like to do to prepare myself to squat. 2. 90/90 Rocking. One knee down and the other straight out to the side. Lean towards the up leg keeping trunk upright. Breathe out as you lean to the side. Repeat until you no longer feel tightness. 3. Assisted Squat- Grab side of rack door frame. Squat deep and get low. If you can, feel free to let go of your hands and balance at the bottom of the squat. Variety is the spice of life and applies to squatting as well. There are many variations that can still to improve your strength. Squatting doesn’t just have to be putting a bar on your back and dropping it low. There are front squats, back squat, goblet squats. 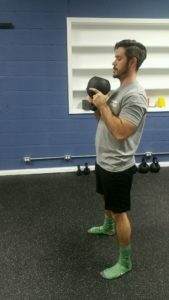 You can use a kettlebell, barbells, dumbbells, or weighted vests. For most beginners, I suggest bodyweight until form is mastered, then a load can be added with any of the options listed above. Want a real-world example? I used to only do back squats and goblet squats and hit a plateau. 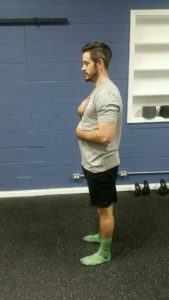 Nothing changed or improved for close to five months despite training consistently and I was getting very frustrated. I took a break from back squatting all together and started emphasizing single leg work and front squats. I did not train with a bar on my back for almost two months. 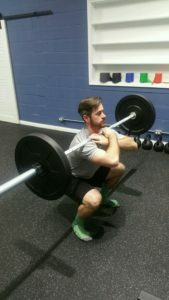 I started working in spit squats progressively which was something completely new for me. I started to feel stronger and knew it was time to do some testing before I started my new competition program. My squat went up 20 lbs. Why? Because I was still squatting, just not with a bar on my back. Thinking in terms of movement and not in terms of musculature is very beneficial. Another thing that sounds too simple right? Breathing is very important with any activity but especially when the spine is being loaded. So why is breathing so important? Breathing is the first thing we learn as a baby and is the foundation for all other movement. A good breath should be done through the diaphragm and not that chest. This is especially important when the spine is being loaded. What this does is increases the pressure inside your stomach and prevents the spine from bending. When squatting we control our breath by first taking a deep breath in through the diaphragm. If this is done the belly will move but the chest does not. After that deep breath in you begin to lower into the squat holding your breath till you get to the end of the squat. After that pause at the end, begin to stand up and breath out. This takes practice. 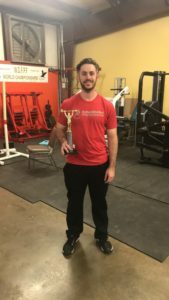 I have lifted for years and it wasn’t until the past year when breathing became a priority in my training I noticed some improvement in my strength. Full Goblet squat: 1. Deep breath in through the belly hold the breath till position 2. Breathing out as you stand until position 3. 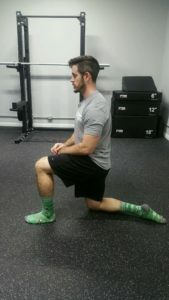 Regardless if you are a competitive athlete, wanting to improve vertical jump, or to be able to pick up your grandkids; squatting is a necessary skill that should be trained correctly. If you are unable to squat correctly or without pain, that is where we as physical therapists can help. Looking at movement patterns and determining WHY this movement is altered/painful is our specialty. 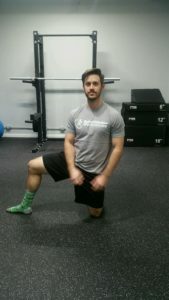 Just because your knee or back hurts while squatting does not mean the knee is necessarily the problem.